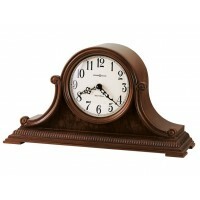 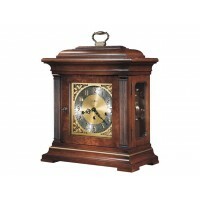 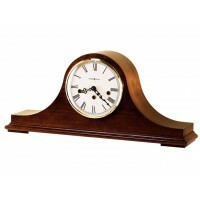 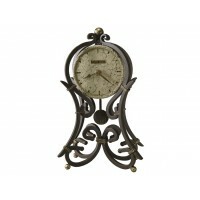 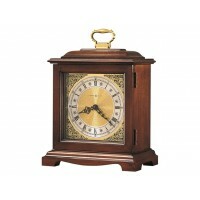 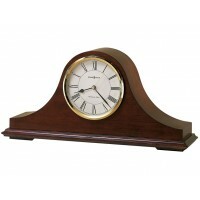 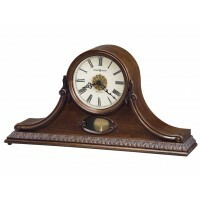 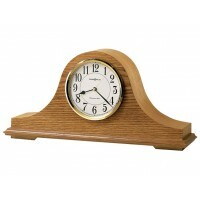 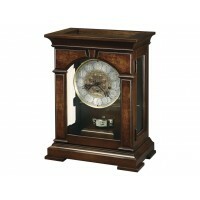 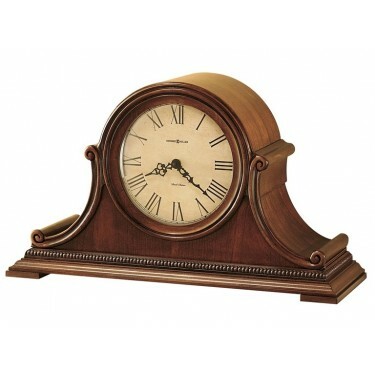 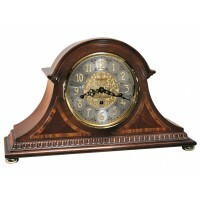 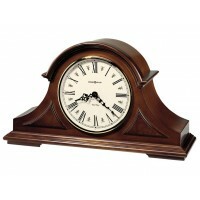 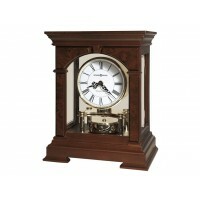 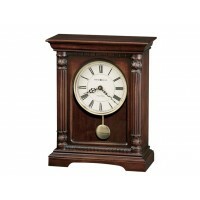 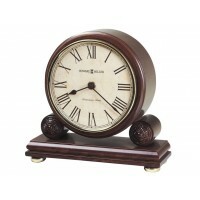 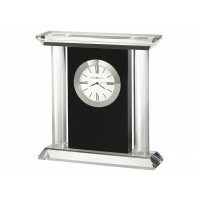 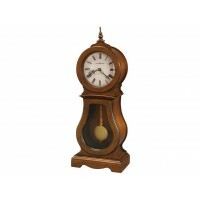 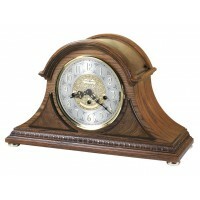 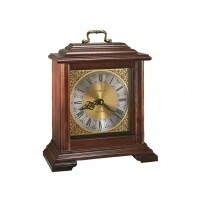 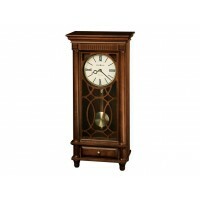 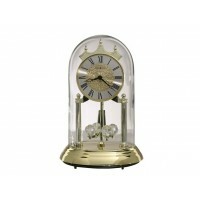 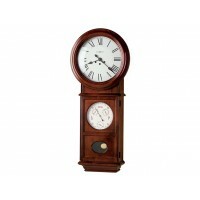 Highlighted with bookmatched molding that frames the dial and offers scrolls on the sides. 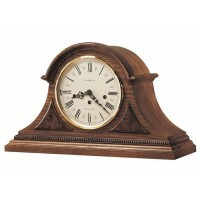 The aged dial offers Roman numerals. 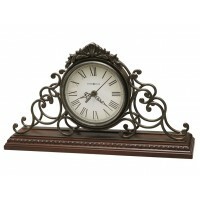 A beaded molding accents the front and sides.